Order before 3pm today for next working day delivery. Tool Housing :- High-grade aluminium die casting. 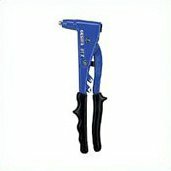 Tool handle :- Chrome-vanadium forged steel. Work Capacity :- Up to 5mm/Alu and 4mm/Stainless Steel.